I reckon I'd rather live under a rock sometimes, you know?! But even then, I think I'd have heard the world's collective outcry against Trump's withdrawal from Paris Climate Agreement today. The reverberation is palpable. Dear Trump, the "pullout" method is neither a reliable form of birth control nor climate control! You, Sweet Agent of Change, and I are connected via this newsletter to begin with because we're people who, at some point, by way of other peoples' efforts, luckily came into contact with the idea of veganism and all its far-reaching benefits, solutions, and transformative powers. • waste ZERO time and energy being outraged at the lunacy. • be extra extroverted about vegan choices in our businesses, workplaces, social media, schools, and communities. • be extra loud amongst the "progressive" population of people who recycle, drive Priuses, etc., but continue to eat animals. No matter how much we all want to demonstrate our rage, let's be leaders by managing it wisely instead. Let's not hate outwardly in social media, let's not retreat under a rock, let's just make ourselves known to others as go-to resources, in the context of this very time, for how to be legitimately, practically, truly sustainable—with our food, our clothing, our purchases, our habits. In Vegan Is Love, I wrote: How wonderful that at this very moment, everyone has the power to make the world a better place. We don't have to wait to grow older, for laws to change, or Presidents to be elected. We can begin right now." Go to it, and let's get the next generation on board immediately. Fill them in on what's happening. 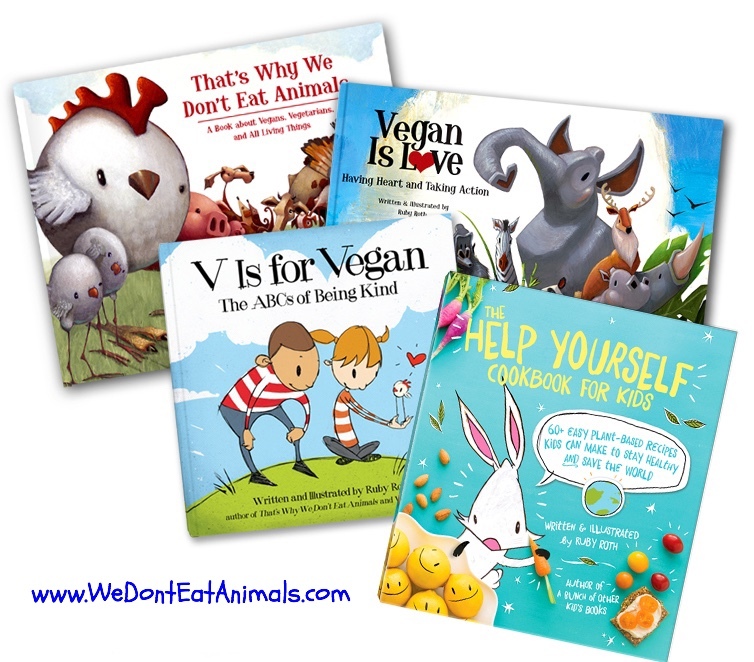 My books will help you explain the motives behind veganism in a way they'll understand (the Help Yourself Cookbook, by the way, is good for all ages, vegans and non—it will encourage "healthy eating" without causing any wars with anyone you give it to).